First-year students from Witmer participating in the 2014 First-Year Games event. There are always those moments we look back on and wonder what we were possibly thinking. It’s hard not to cringe when you look back at that bad haircut and Facebook post you thought was so clever. You, like me, probably made other questionable decisions over the years, whether it’s seeing how many cookies you can eat in a day or buying that pointless and expensive disco lamp for your room. After experiencing all the highs and lows of college, some alumni and upperclassmen are ready to share their knowledge with those who need it. 1. Take time to get involved in clubs, sports, and organizations, not just with the newest show on Netflix. 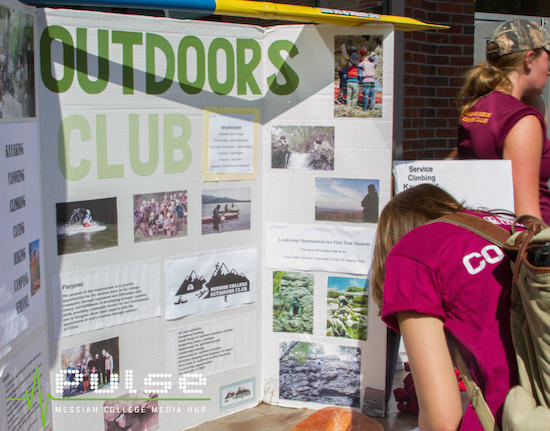 First-year students signing up for a variety of clubs and organizations like the Outdoors Club, at the Opportunities Fair. 2. Spend your time focused on friends instead of ring by spring trends. 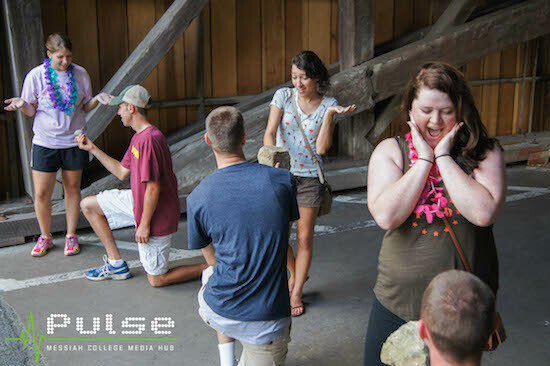 First-year students act out three “engagements” by the covered bridge during last year’s scavenger hunt. 3. Take a deep breath and proudly accept that B.
Don’t put added pressure on yourself during the school year by expecting perfection. 4. Just like the perfect combination of peanut butter and jelly, don’t do too much or too little. 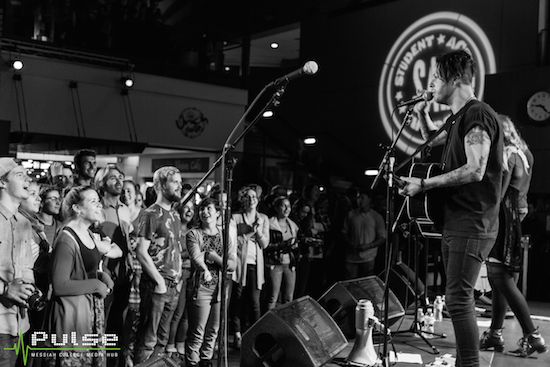 Step out of your comfort zone by going to a B-Sides concert in the Union. 5. Manage your schedule but leave time for random Baker’s runs and late-night excursions. 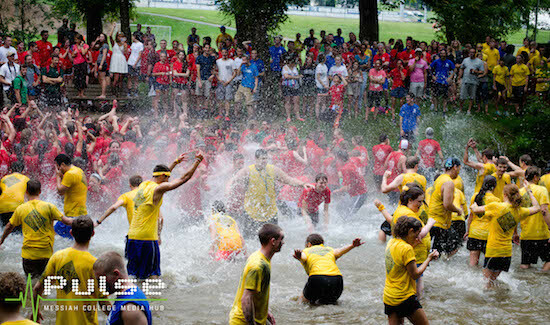 First-year students jump into the Yellow Breeches after the 2014 First-Year Games. Last but not least, my own advice. Don’t micromanage your days so much that you have no time for spontaneity. Some of the best experiences come from last minute plans. 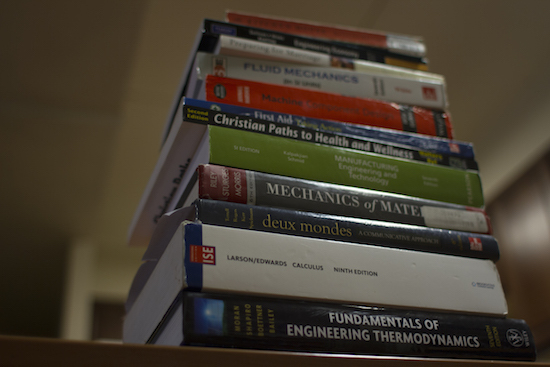 Do you have some tips for your first-year self? Let us know on Facebook, twitter, or our website! We are located in the Downstairs South Wing of the Larsen Student Union.